PI015. 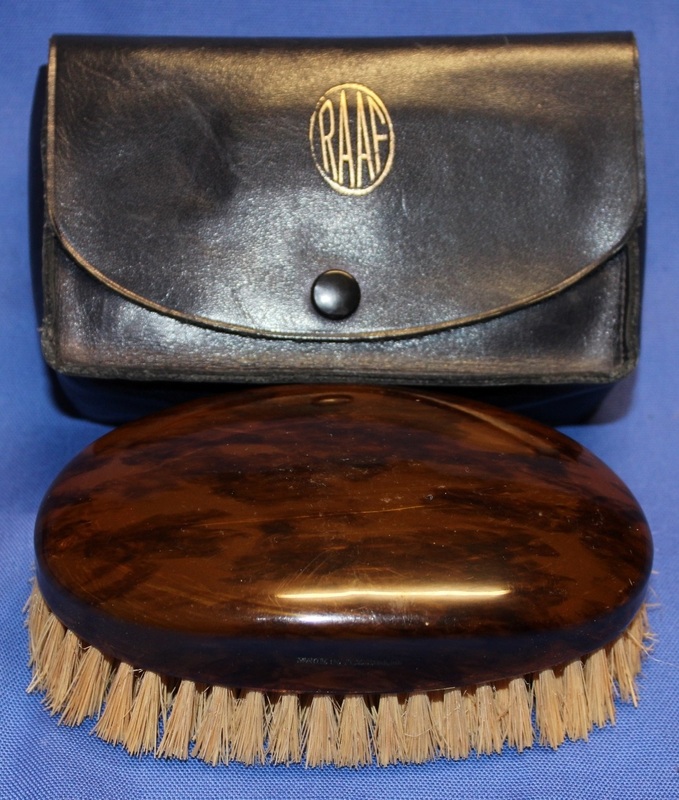 A small black leather pouch with a gold RAAF stencil containing a brown clothes brush. PI016. 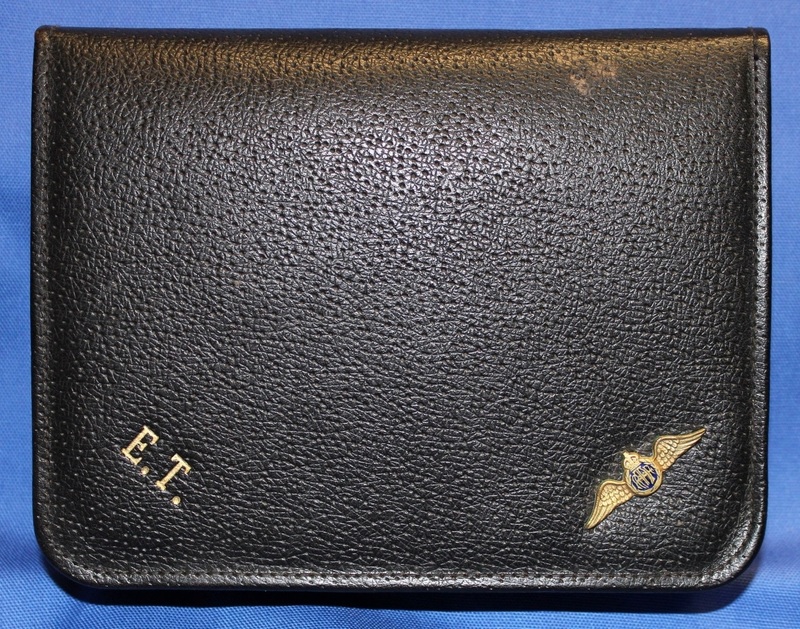 A black leather pouch with a gilt & enamel pilots badge and the letters E.T. embossed in gold. 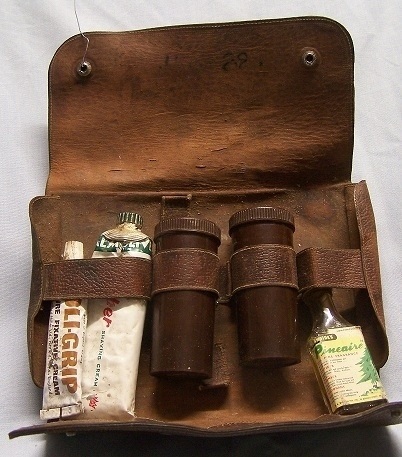 The pouch contains 2 Bakelite containers for powder, a clothes brush, a comb, a mirror and a razor. PI023. 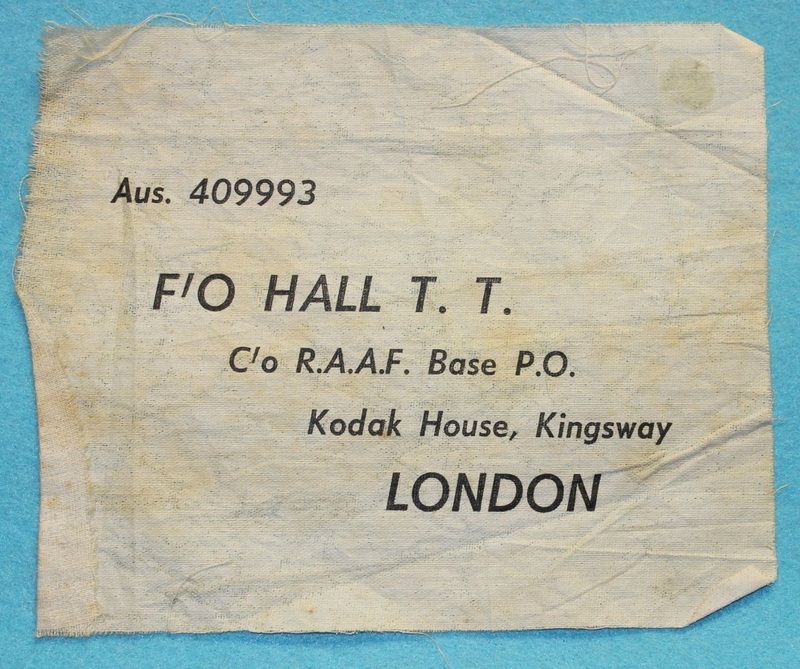 A cloth label for personal effects to 409993 F/O Hall T. T. Thomas Taylor Hall enlisted on 7 Nov 1941 at Melbourne and discharged on 2 Jan 1946 from 83 G/P SUPP UNIT RCOR with the rank of Flying Officer. PI042. 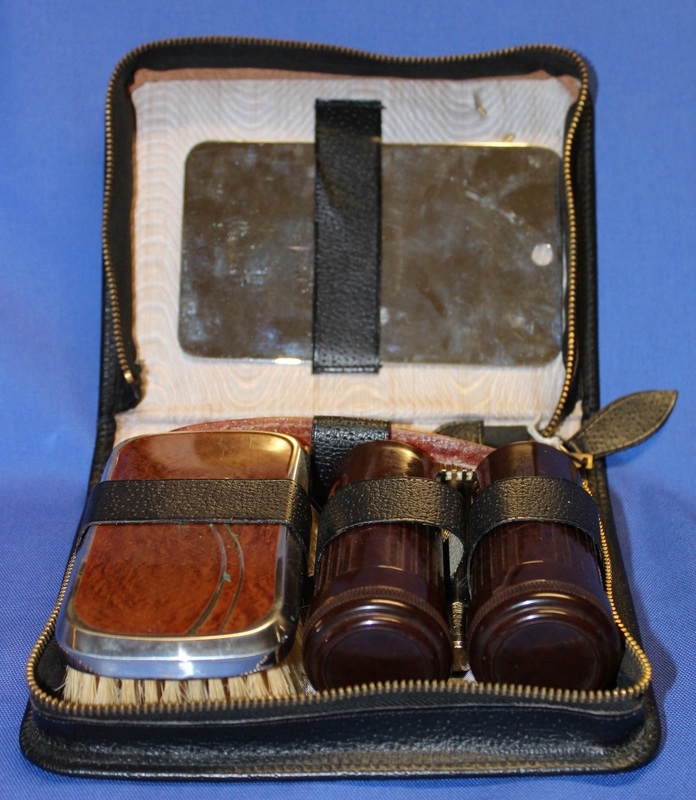 A black leather pouch containing 2 clothes brushes with pilots badges and a comb. PI048. 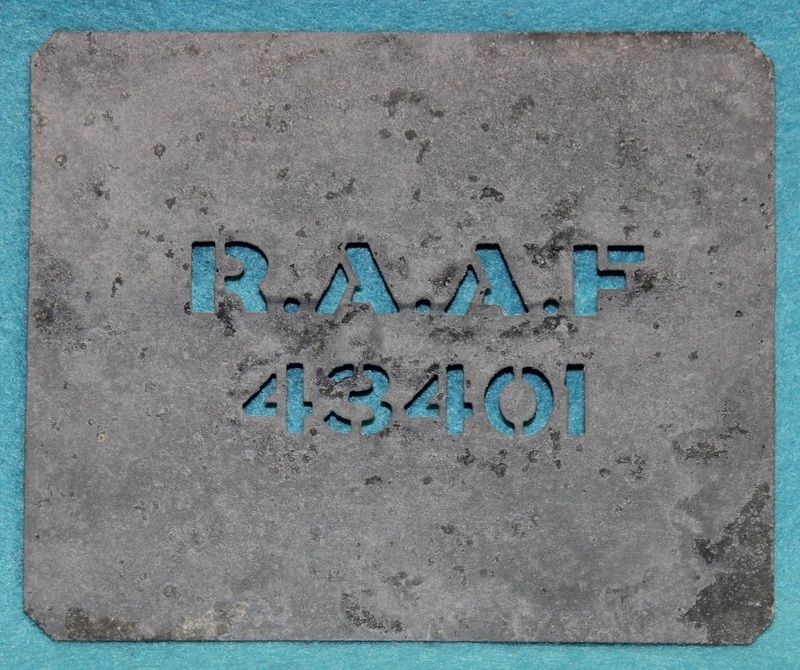 A metal stencil for marking personal effects to 43401 RAAF. Cecil Edwin Roy Streten enlisted on 31 Jul 1941 at Brisbane and discharged on 3 May 1946 as a Sergeant from AFHQ CAS. PI080. A jungle green mosquito net stencilled 73764 Shoobert C. R. RAAF. Calvin Robert Shoobert enlisted on 8 Dec 1942 at Sydney and discharged on 27 Mar 1947 as a Leading Aircraftman from Eastern Area Headquarters. PI085. A small chrome shoe horn with a gilt & enamel pilots badge. PI086. 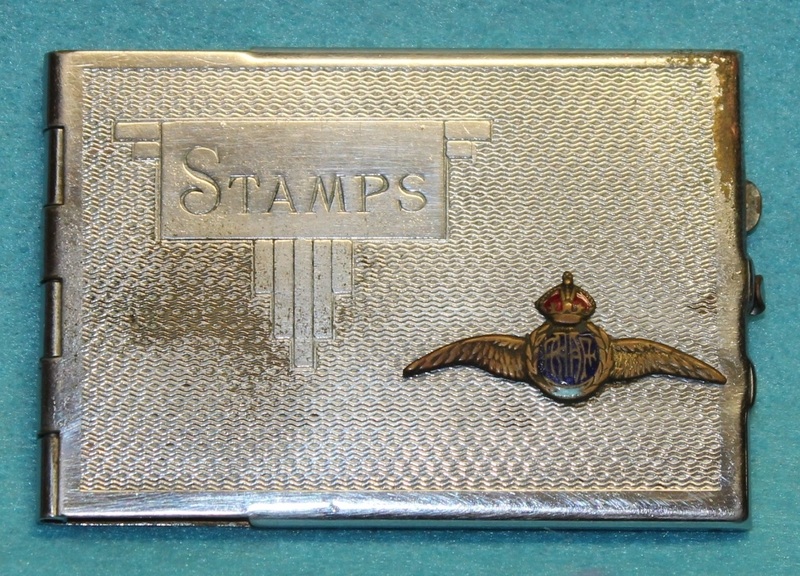 A small chrome container with a gilt & enamel pilots badge for stamps. PI092. 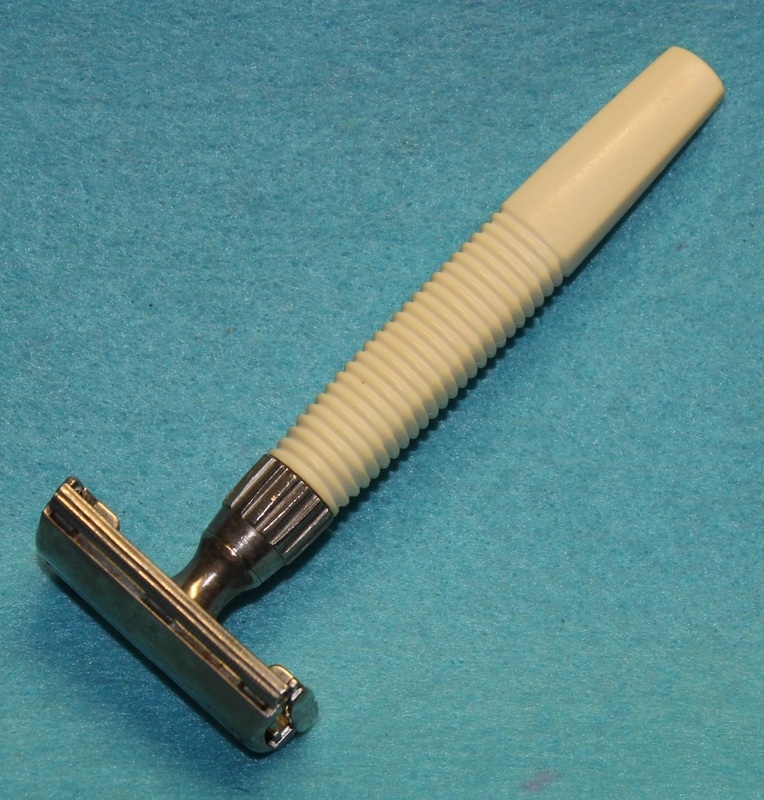 A razor made by Gillette England issued to A58553 Hecquet. PI093. 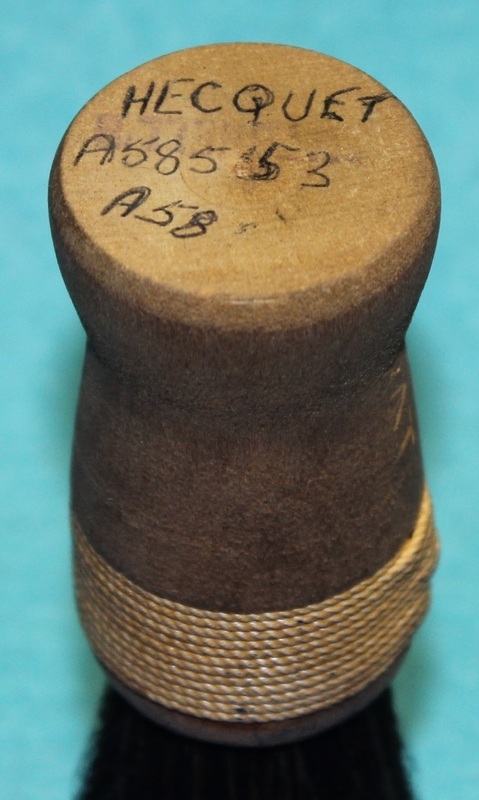 A wood and bristle shaving brush issued to A58553 Hecquet. PI096. 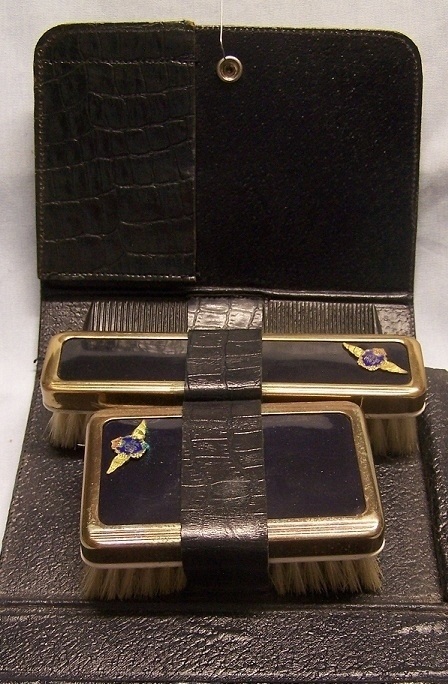 A gold clutch pencil named to REV J. P. PIERCE RAAF. John Patrick Pierce was born 24 Mar 1909 and discharged as a Wing Commander on 14 Nov 1945 from 1 Personnel Depot (STAFF). PI097. 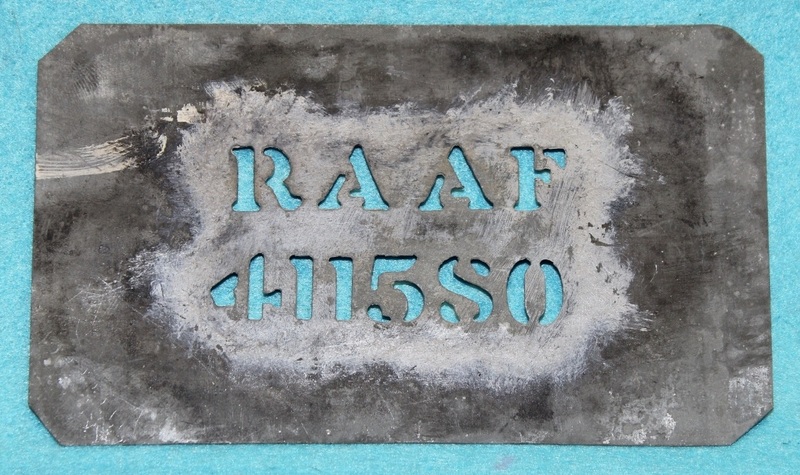 A metal stencil for marking personal effects to 411580 RAAF. Wilfred Darley Irvin enlisted on 24 May 1941 at Sydney and discharged on 12 Feb 1946 as a Leading Aircraftman from 2 Embarkation Depot Bradfield Park. PI098. 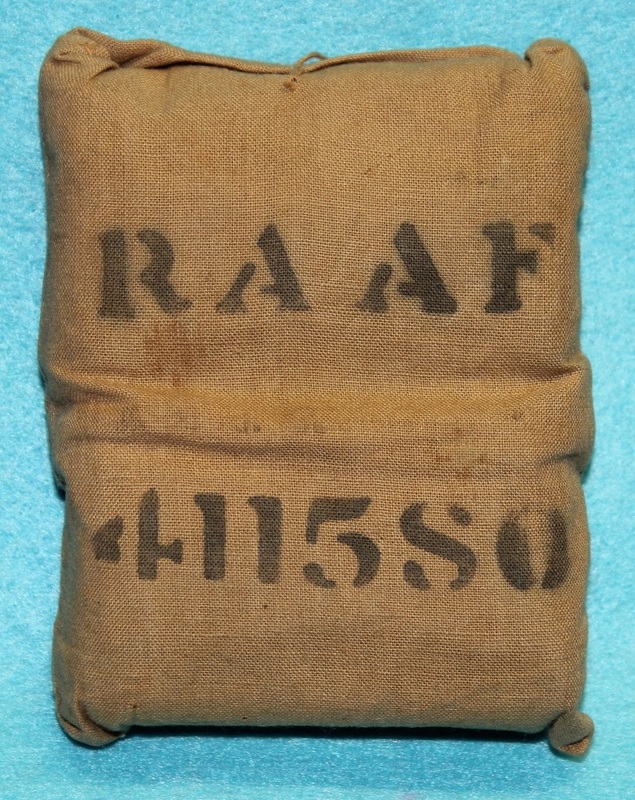 A field dressing made by Johnson & Johnson February 1941 and marked RAAF 411580. Wilfred Darley Irvin enlisted on 24 May 1941 at Sydney and discharged on 12 Feb 1946 as a Leading Aircraftman from 2 Embarkation Depot Bradfield Park. PI110. 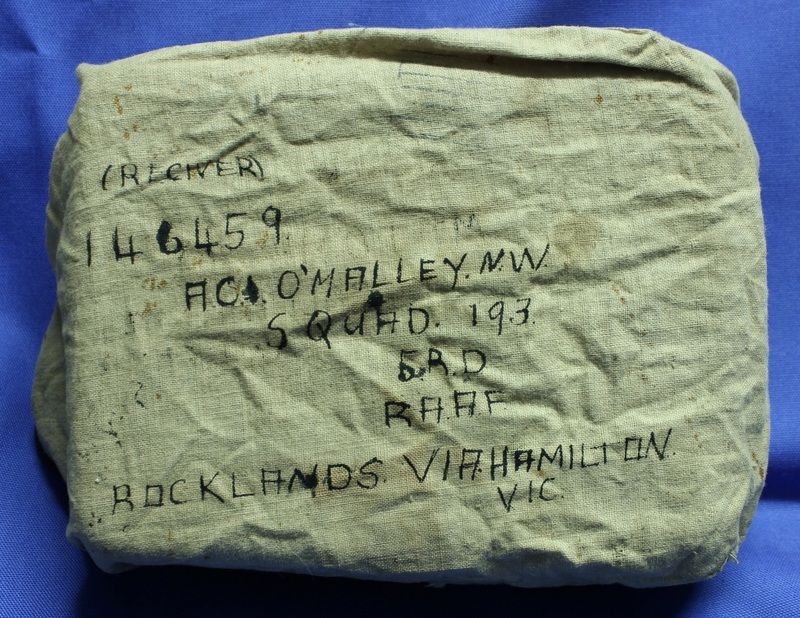 A pair of dixies in a cloth bag marked “146459 AC1 O’MALLEY N. W. SQUAD 193 5RD RAAF ROCKLANDS VIA HAMILTON VIC” Norman William O’Malley enlisted on 13 Jan 1944 and discharged on 4 Mar 1946 as a Leading Aircraftman from 1 Aircraft Depot. 5RD is 5 Recruit Depot. PI112. 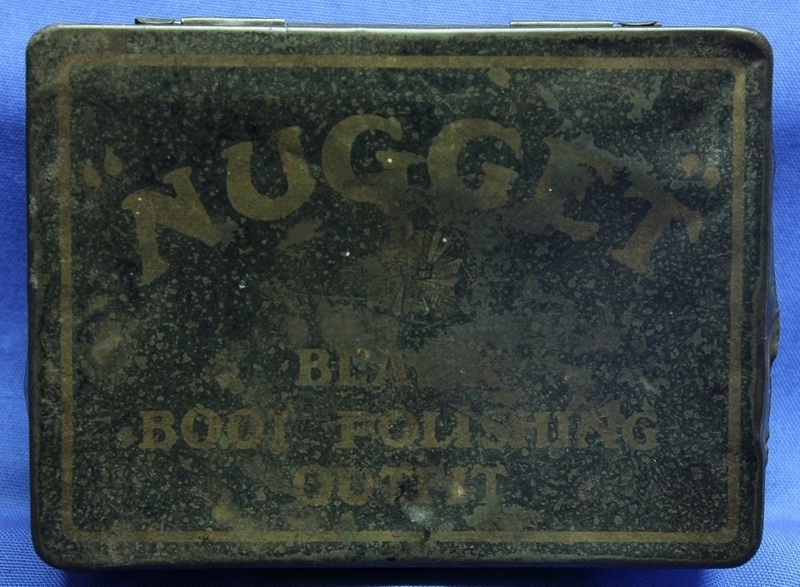 An old Nugget Boot Polishing Outfit tin with 141145 LAC D. J. McNamara scratched into the lid. 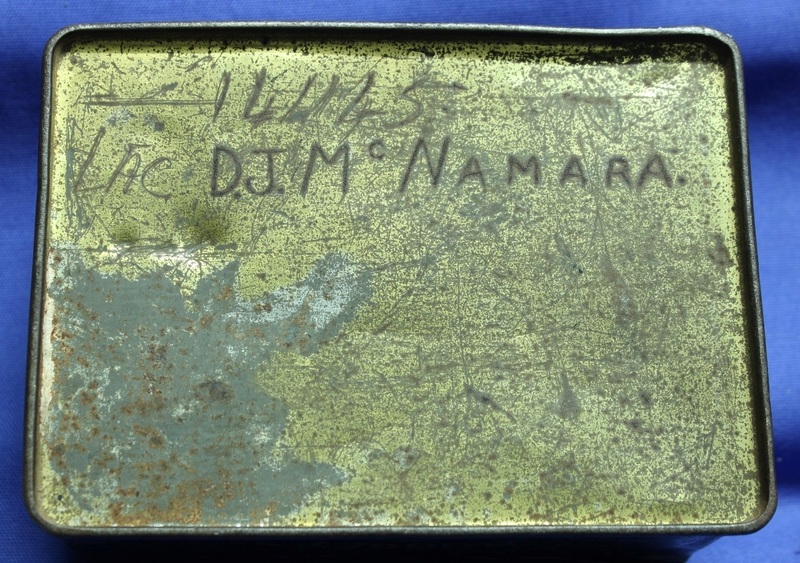 A4128 Dennis John McNamara enlisted on 7 Sep 1943 at Adelaide and discharged on 16 Jan 1957 as a Corporal from 5 Airfield Construction Squadron. PI113. 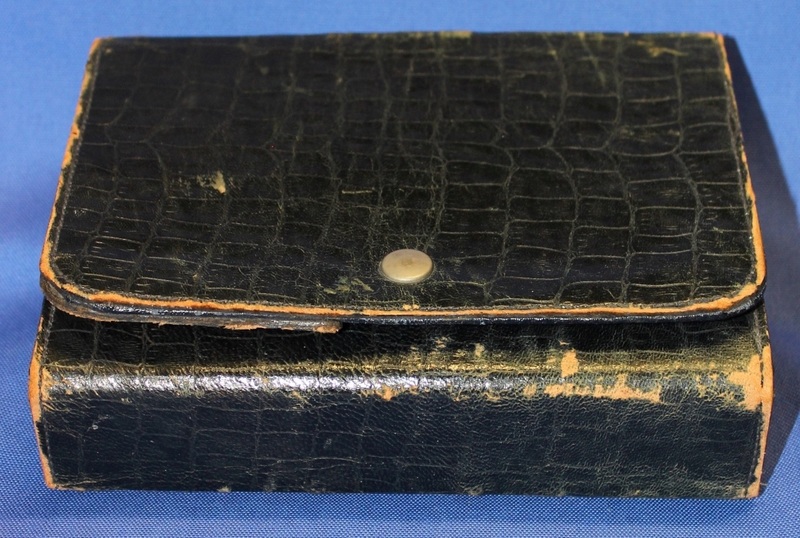 A brown leather pouch containing 2 brown Bakelite containers and marked 156288 P. G. Steer. Phillip Graham Steer enlisted on 12 Jul 1944 at Melbourne and discharged on 2 Nov 1945 as a Leading Aircraftman from Headquarters Northern Command.